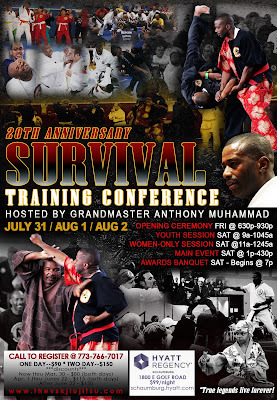 Grand Master Anthony Muhammad, Founder of the United Schools of Survival, will be hosting his 20th Annual Martial Arts Seminar on July 31, 2015 through August 2, 2015. We are trying to make an impact on society with training and preparing individuals, children, men and women to have what is necessary to defend themselves from rapists, child molesters, kidnappers, domestic violence and any other aggressive attack that comes to harm them. The number of violent incidents are skyrocketing all over the country and too many deaths are occurring because of bullying and racially motivated attacks. The seminar will not only teach self-defense techniques, but it will deal with overcoming fear; knowing your surroundings, destroying the victim mentality and how not to become a victim. Friday, July 31: The seminar will open at 6:00pm with the world renown championship fighter, Soke Lil John Davis and Grand Master Robert Crosson. Both were students of the late Great Legend, Doctor Moses Powell. A meet and greet will follow. Saturday, Aug.1: We will begin with our Children's and Women's Self Defense Seminar at 9:00am. The open seminar begins at 1:00pm and ends at 4:00pm. Here there will be Senseis, Masters and Grand Masters from all over the country and the Caribbean, who will share their skills and expertise in the martial arts. 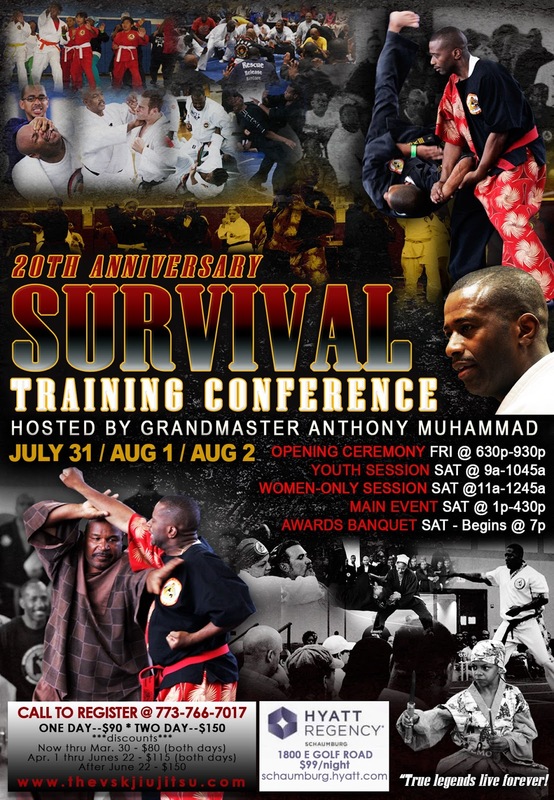 Grand Master Anthony Muhammad is someone known throughout the world for his lifelong training under the late Great Doctor Moses Powell and under Soke Lil John Davis. He has taught and supervised schools throughout the U.S. and the Caribbean. He is also known for his security work with dignitaries, entertainers and the movie industry. Don't miss the opportunity to train with the Masters. Your life may depend on it! Go to: www.thevskjiujitsu.com to register for seminar and hotel. 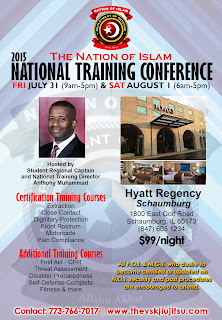 You can call 773.769.7017 for more information.